I love TOMS products because of their quality, and most importantly their initiative to help others. In 2006, American traveler Blake Mycoskie befriended children in a village in Argentina and found they had no shoes to protect their feet. Wanting to help, he created TOMS, a company that would match every pair of shoes purchased with a pair of new shoes given to a child in need. 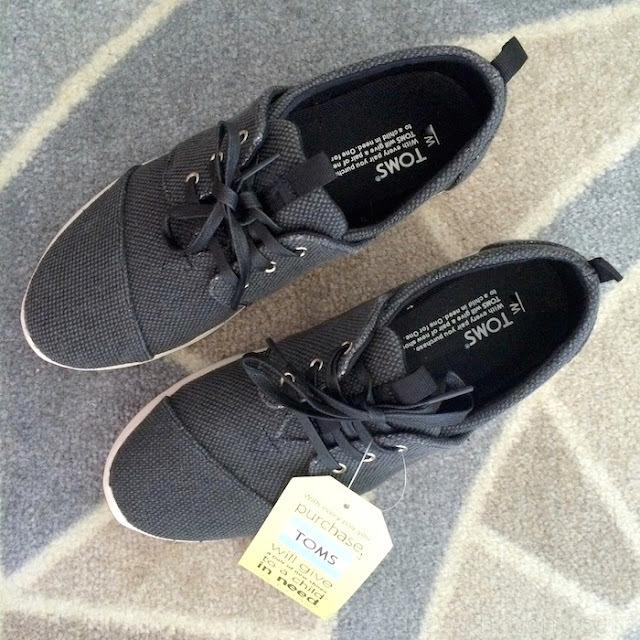 I love wearing the TOMS women’s Black Silver Textile Del Rey Sneakers that has a grey canvas texture. It is comfortable and looks fabulous. For every pair of TOMS shoes purchased, TOMS provides a new pair of shoes to children in need. By working with over 100 Shoe Giving Partners around the world TOMS have given over 45 million new pairs of shoes to children in need. Realizing that One for One® could serve other global needs, Blake launched TOMS Eyewear in 2011 to help restore sight to people in need with every purchase of sunglasses and optical frames. In 2014, TOMS Roasting Co. launched with the mission to provide clean water to developing communities with the purchase of premium coffee (TOMS coffee is not available in Canada). 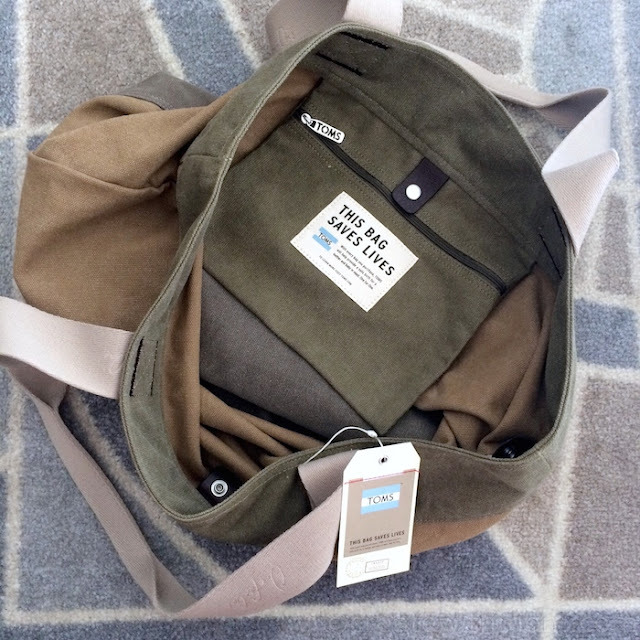 In early 2015, TOMS launched their TOMS Bag Collection that helps to provide safe birth to a mother and baby in need, by providing training for skilled birth attendants, along with providing a safe birth kit that includes vital material like soap, gloves, gauze, a cord clamp and surgical blade in Bangladesh, Ethiopia, Haiti, and India. The TOMS StandUp Backpack Collection also helps TOMS Giving Partners to provide training for school staff and crisis counselors to help prevent and respond to instances of bullying. 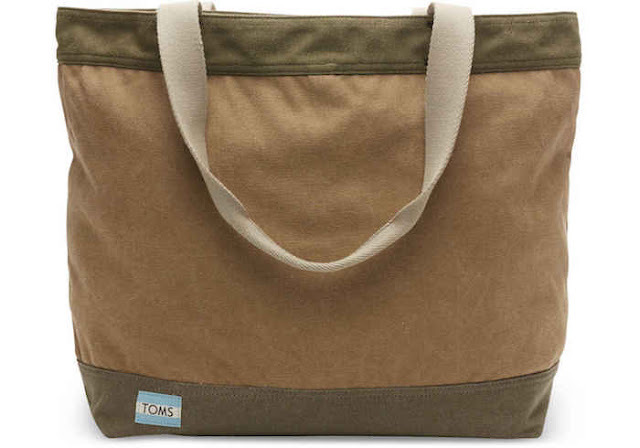 I checked out this beautiful TOMS Khaki Canvas Transport Tote. This roomy, large tote is perfect for a variety of everyday use and travel. I love using this bag knowing that it helps saves lives around the world. TOMS identifies global needs, and create products to improve these needs. This simple idea makes TOMS more than a company; it is a movement that is continually evolving. Presenting a TOMS product as a gift to our loved ones will show how much you care! It will also be appreciated by someone else's loved one. TOMS is a great company. I love the bag, didn't know they made them. I do like tom's shoes and all that Tom's does!